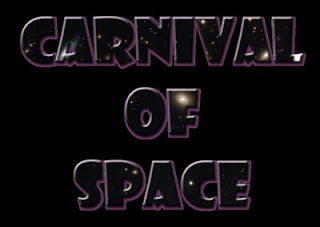 Just in time for the weekend, Carnival of Space has taken up residence over at The Spacewriter's Ramblings blog. Among this weeks categories are: Stargazing, Remembrance, Humanity's Future In Space and a Nod to Our Past Efforts, Oh, Moon, Lovely Moon, Astronomy News and Exploration Technology and "Woo Woo" Science. If you want to know what Woo Woo Science is, you'll have to go check it out for yourself. Happy reading!